Matthew Righetti | Righetti · Glugoski, P.C. | Righetti Glugoski, P.C. Matthew Righetti founded Righetti Glugoski P.C. From offices in downtown San Francisco , Mr. Righetti has been specializing in representing claimants in civil trials for over twenty-five years with a particular emphasis on class action litigation. Mr. Righetti routinely litigates cases against the nation's largest corporations and is nationally recognized and respected by his peers as a skillful advocate on behalf of victims. In addition to his trial experience, Mr. Righetti has also successfully litigated numerous appeals in the nation's highest state and federal courts. Several examples include, Sav-On Drugstores, Inc. v. Superior Court, (2004) 34 Cal.4th 319) [California Supreme Court decision reversed the court of appeal and reinstated the trial court's class certification order in a wage and hour class action]; Gentry v, Superior Court (2007) 42 Cal.4th 443 [California Supreme Court reversed both the trial court and court of appeal decisions thereby invalidating a ban on class actions contained in an employment agreement]; Rutti v. Lojack Corp., Inc. (2010) 596 F.3d 1046 [granting a petition for rehearing, ninth district court's summary judgment order finding work compensable under both state and federal law]; Winfrey v. Chief Auto Parts, Inc., First District Court of Appeal [reversing trial court's order denying certification]. 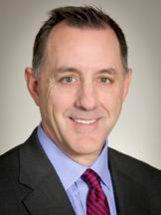 Mr. Righetti is regularly featured as an invited speaker at continuing education bar association events throughout the nation on a wide variety of civil litigation subjects including class action litigation and developments, effective discovery techniques, trial strategy, and ethics. Mr. Righetti has tried dozens of complex cases in his career and has recovered hundreds of millions of dollars for his clients on both class action and individual claims ranging from employment, labor, wage and hour, product liability, personal injury, wrongful death, and privacy rights.